& from Belgium / België / Belgique including Visé. 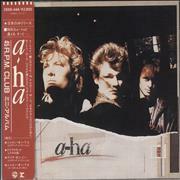 The bands breakthrough single 'Take on Me' took three times to become a hit in the UK, eventually hitting number 2 in 1985, mainly due to the wide exposure of its stunning video. 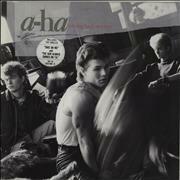 The press were quick to dismiss them as a teeny bop sensation with the release of the album, 'Hunting High and Low' however, there was more to A-ha than met the ear. Following the more mature sounding 'Scoundrel Days' and a lengthy world tour, they supplied the soundtrack to the James Bond flick The Living Daylights. Considered lackluster by critics but adored by fans 'Stay on These Roads' was another piece of superbly crafted pop. 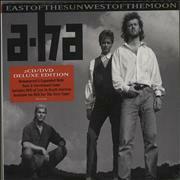 Due to the shift towards dance music, the bands fourth album, 'East of the Sun, West of the Moon' was largely ignored in the U.K as was the follow up 'Memorial Beach'. 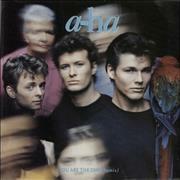 Seven years after the release of 'Memorial Beach' A-ha issued 'Minor Earth Major Sky' in summer 2000 to much deserved but very belated critical acclaim. 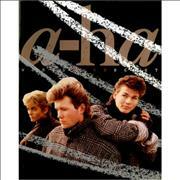 With over two decades of fantastic music to choose from, there is no shortage of back catalogue rarities,amazing memorabilia and quality collectibles, all available right here in our specialist A-ha collectors store.